Geography in the News has been created to encourage students to read more widely, examining synoptic links and keep up to date with geography-related news. It has been developed to be given to students as homework and includes differentiated activities for them to complete. Our downloadable homework comes in an editable format so you can make adjustments appropriate to your students. We’ll be publishing a new homework relating to a recent event in the news every week during term time. A peer/self-assessment sheet will soon be made available to download so students can peer/self assess their homework to help reduce your workload. 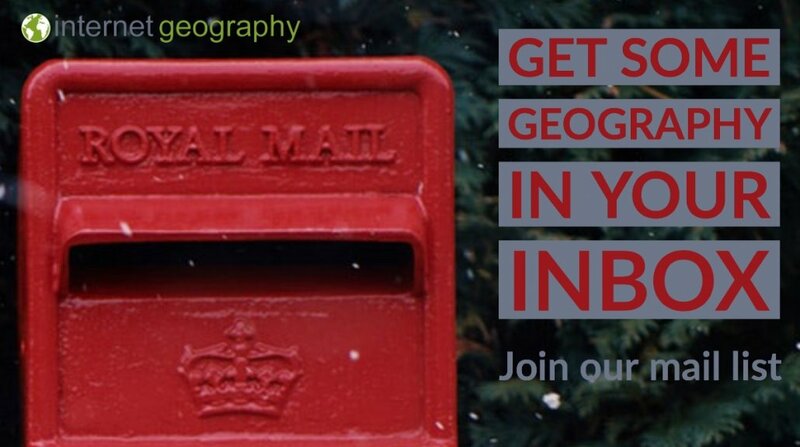 You can access past mark schemes by signing up to a free subscription to Internet Geography. Our tenth homework is based on an article on BBC website examining worldwide climate strikes by students. View the article. If you are looking for a more open-ended approach to setting home Geography in the News homework take a look at our new template. Homework Plus assignments also come with a mark scheme that can be used by teachers or students for peer/self-assessment. This resource is ideal for class-based revision, intervention, homework and engaging parents in revision. You will also have access to our new Geography Infographics. Subscription for Homework Plus, including GEOGREVISE starts at only £20 per year for an individual class teacher. Also available are department level subscriptions for schools. Find out which subscription is right for you. By subscribing you’ll have instant access to all the documents published so far. By downloading the document you agree not to edit the document header and footer before issuing to students. You also agree not to redistribute the document on a public forum e.g. TES, Schoolology or similar. You are welcome to share with students on services such as Show My Homework, however, do not make the document available to other users. Seen a useful article for our next Geography in the News? Please let us know using the form below.